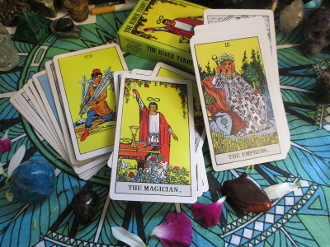 78 card traditional tarot deck. This is a great deck for beginners as the pictures on the card help depict the meaning which is not always the case with other decks. This helps for memorization. The images are also very clear and uncluttered. One of the longest standing illustrated decks available. *Box corners may have slight bends from shipping.